Nigel’s introduction to Photography was when his father gave him an Ilford Sporti camera for his 8th birthday. He was 18 when he commenced his Diploma in Advertising and Fashion Photography at Medway College of Art and Design in Rochester Kent, U.K. In 1982 aged 27, Nigel came to Australia for a holiday and never went back! While in Perth WA, he worked for various photographic studios and was soon directing his own studio in Mandurah. A few years later Nigel headed south to Esperance, gave away photography and began farming. After five years he moved north to Newman in the Pilbara where he worked as a driller/shot firer. It was in this remote rugged region that his photographic passion was reignited by the incredible landscapes. From his base in Newman he started to explore the North West of Australia with his camera and during this time bought his first panoramic camera, a Hassleblad XPan. 18 months later he purchased his second panoramic camera, a medium format Linhof Technorama 617s. Nigel’s current preferred cameras are Nikon and Sigma Quattro’s. Nigel set up Red Dirt Photography in 2002 in Broome, which specialised in Landscape Photography and Photographic Tours of the Kimberley. He opened his Photographic Gallery there in 2007. Living in Broome allowed him to continue to chase the wild light that makes the red pindan soil explode into colour and transforms the landscape into an amazing palette for photography. In July 2006 Nigel held his first solo exhibition, “Dreaming of Water” in Broome’s The Bay Gallery. During the next nine years he won numerous local photographic awards and was involved in many community photographic events. Nigel closed the Broome gallery in October 2015 and moved to South Fremantle for some family time and a change of photographic direction. He now conducts limited photographic workshops and tours in the Fremantle area. 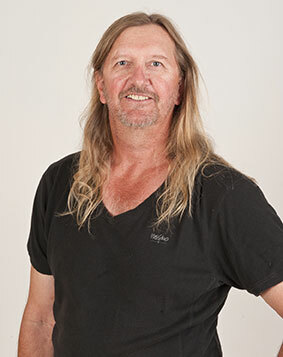 He is a founding member of the Fremantle Centre for Creative Photography (FCCP), a collaboration of three photographers who have many years experience of teaching, touring and the art of Photography.